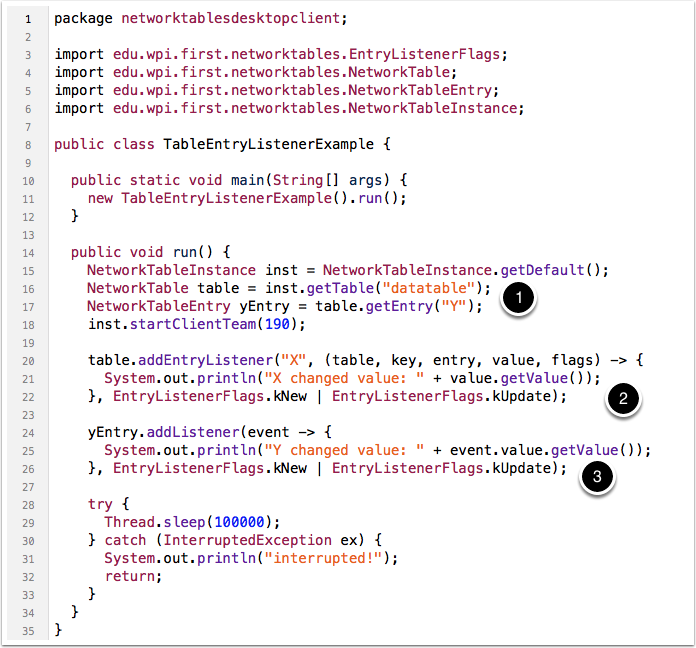 This program shows how to listen for changes on two keys in NetworkTables using two different methods. One listens for changes of the key "X" in "/datatable" and the other listens for changes to the key "Y" in "datatable". Create a NetworkTableEntry object that refers to "/datatable/Y". Using a lambda, print a message every time the value "/datatable/X" is created or updated. Again using a lambda, print a message every time the value of "/datatable/Y" is created or changed.